Hydrofluoric Acid Poisoning is the accidental or intentional intake of any product containing the compound. The exposure may be through skin or eye contact or following ingestion/inhalation of the chemical. What is Hydrofluoric Acid Poisoning? What are the Causes of Hydrofluoric Acid Poisoning? What are the Signs and Symptoms of Hydrofluoric Acid Poisoning? The signs and symptoms of Hydrofluoric Acid Poisoning can vary from one individual to another. It may be mild in some and severe in others. Several systems of the body, such as the digestive system, respiratory system, vascular system, nervous system, skin and ENT may be affected. How is First Aid administered for Hydrofluoric Acid Poisoning? Who should administer First Aid for Hydrofluoric Acid Poisoning? 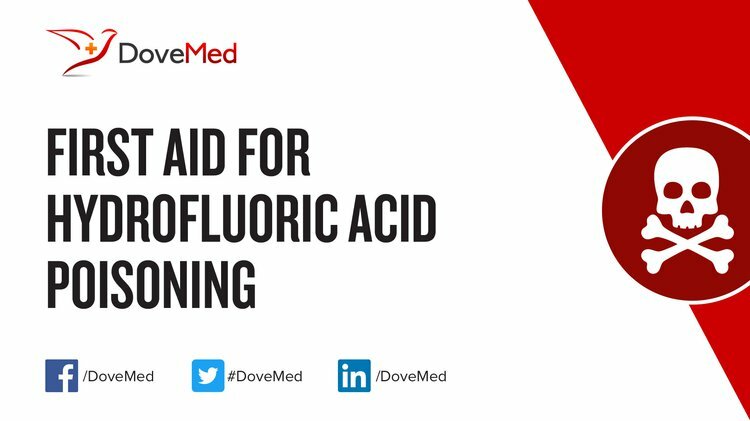 First aid for Hydrofluoric Acid Poisoning is administered by healthcare professionals. What is the Prognosis of Hydrofluoric Acid Poisoning? How can Hydrofluoric Acid Poisoning be Prevented? Men, B., Sun, Y., Tang, Y., Zhang, L., Chen, Y., Wan, P., & Pan, J. (2015). Highly dispersed Ag-functionalized graphene electrocatalyst for oxygen reduction reaction in energy-saving electrolysis of sodium carbonate. Industrial & Engineering Chemistry Research, 54(30), 7415-7422. Di Giulio, N., Bosio, B., Han, J., & McPhail, S. J. (2014). Experimental analysis of SO 2 effects on molten carbonate fuel cells. International Journal of Hydrogen Energy, 39(23), 12300-12308. Tang, Y., Wang, H., Xiang, J., Chen, Y., He, W., Deng, N., & Yang, H. (2010). A sensitive immunosorbent bio-barcode assay combining PCR with icELISA for detection of gonyautoxin 2/3. Analytica chimica acta, 657(2), 210-214.